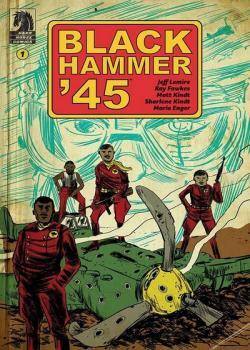 From the World of Black Hammer comes a truly gripping tale of war and intrigue! During the Golden Age of superheroes, an elite Air Force crew called the Black Hammer Squadron was formed to fight the Axis powers. Facing occult threats from the German side, this team must save a family of scientists from the Nazi's. But the mysterious and dangerous Ghost Hunter is hot on their trail.